TICKETS: $10, and tickets can be purchased at the door. The parking lot is accessible from Ashwood Avenue, behind the theatre. 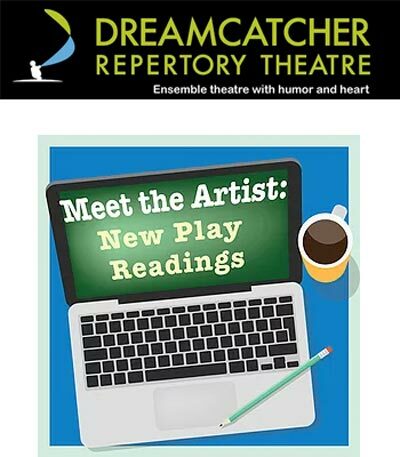 For information on any of Dreamcatcher Repertory Theatre's programs, please contact Dreamcatcher Repertory Theatre at the Oakes Center, 120 Morris Avenue, Summit, NJ 07901, 908-514-9654, www.DreamcatcherRep.org. On August 15, Dreamcatcher will present David Lee White’s play Fixed, which was originally commissioned by the NJPAC Stage Exchange, a program of the New Jersey Performing Arts Center – John Schreiber, President & CEO. It was presented at Passage Theatre in Trenton, NJ, and has been revised for this reading. The play asks the question, what would you sacrifice for the people you love? Ronnie doesn’t want help. Valerie and Daryl don’t want to reunite. But high school vows bind pretty tightly. Broken promises and dark humor fill David Lee White’s new play about friendship, mental illness, and facing the truth. The reading, directed by Laura Ekstrand, will feature Gary-Kayi Fletcher, Maria Konstantinidis, Jessica O’Hara-Baker, Amanda Salazar and Harriett Trangucci. David Lee White is a New Jersey-based playwright and educator that has worked with Passage Theatre, McCarter Theatre, Dreamcatcher Rep, PlayPenn, Rider University and Drexel University as well as many other theatres and theatre programs in the NJ/NY/PA area. His work runs the gamut from crowd-pleasing comedy, political satire, oral history-based docudrama, musical theatre, and educational theatre to mental health advocacy. He has also worked to promote NJ area playwrights by organizing developmental opportunities through The Passage Play Lab and The Witherspoon Circle.